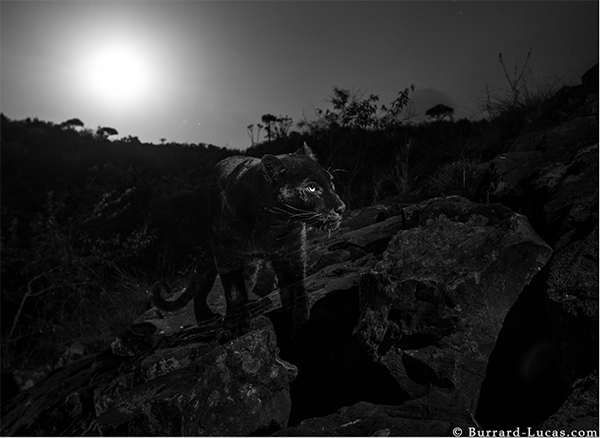 British wildlife photographer Will Burrard-Lucas is helping make history with his recently captured images of an elusive black panther in Kenya. 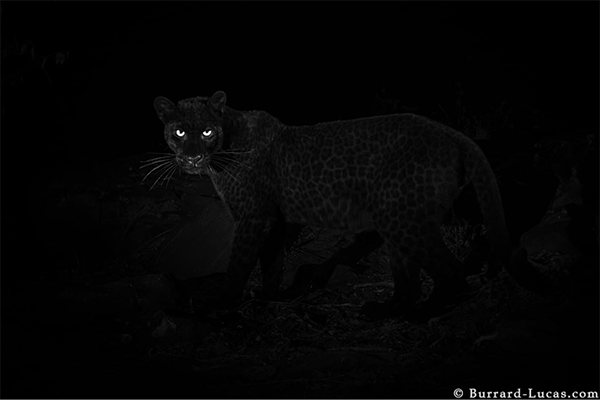 While sightings of black panthers—also known as black leopards—have been continuously reported, until now there has been almost no photographic evidence of their existence. As only about 11% of all leopards are black, getting one on film, particularly in Africa, is no easy feat. Black panthers get their color due to an overabundance of melanin that makes skin or fur appear black. 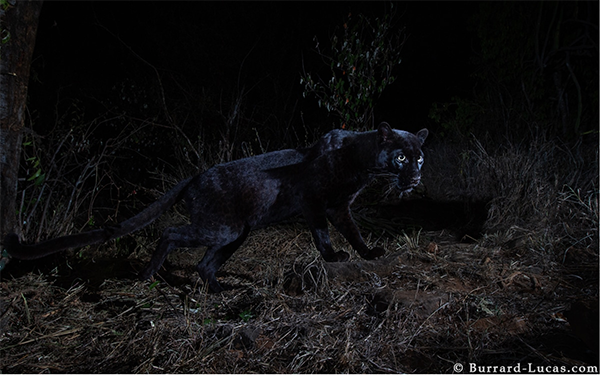 Though black leopards in Southeast Asia have been photographed hundreds of times by scientists, evidence of these rare cats in Africa was largely hearsay until now. This all changed when word started to get out that there had been consistent black panther sightings at the Laikipia Wilderness Camp in Kenya. Burrard-Lucas, who has been working as a full-time wildlife photographer for nearly 10 years, couldn’t resist the opportunity to get this elusive animal on camera and so he headed down to Africa. 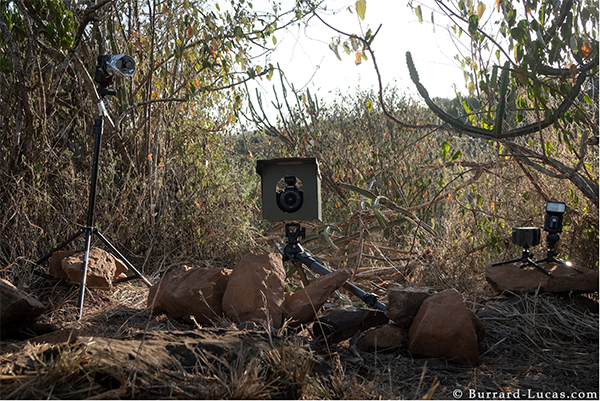 Using a camera trap system that included a Camtraptions motion sensor, Burrard-Lucas was able to come back with a series of incredible imagery that helps concretely confirm the presence of black panthers in the area for the first time in nearly a century. Over the next few days, Burrard-Lucas moved around his setup as he began to understand the black panther’s movements and continued to capture stunning photographs of this majestic animal. The photographs are all the more thrilling when one considers that one of the last times a black leopard was photographed in Africa was 1909. This photograph, taken in Addis Abada, Ethiopia, is in the National Museum of Natural History in Washington, D.C. in Addis Ababa. Though there have been previous reports of black leopards in Kenya, none have been accompanied by images of the melanistic cat. Additionally, researchers from the San Diego Zoo and Loisaba Conservancy obtained video footage of the Laikipia county black leopard and recently published their observations in the African Journal of Ecology. Along with a recently discovered image of a black panther taken by the Ol Ari Nyiro Conservancy in 2007, these images are a rare glimpse of the elusive animal. 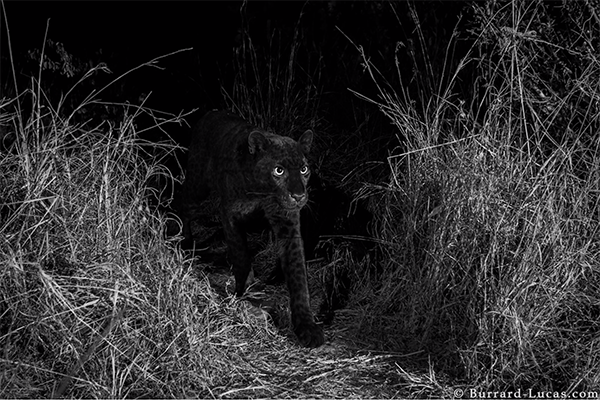 The photographer is careful to mention that he decided to release the name of the location where he photographed the black panther for good reason. “Fortunately trophy hunting is illegal in Kenya. My take is that the benefits of promoting tourism far outweigh the risks and hence I have stated the location. 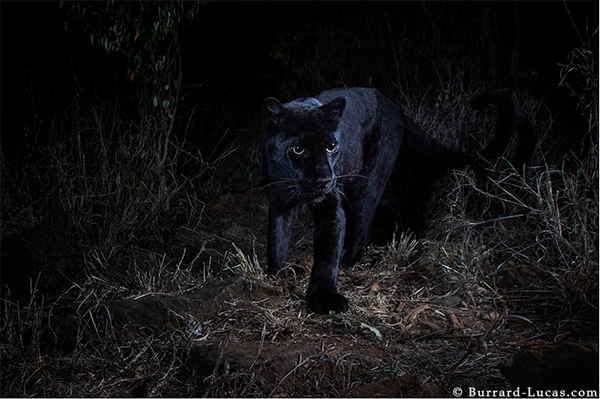 Tourism brings valuable revenue to these places and is often a critical source of funding for conservation efforts.” And as Burrard-Lucas intends to head back soon, we’re hopeful that these are just the first of many African black panther photographs we’ll be seeing. Read more about Burrard-Lucas’ African adventure on the Camptraptions blog.